Yesterday, I went into the kitchen to make broccoli soup (and garlic bread) for dinner, and ended up also making my first version of the Thanksgiving Pie that I want perfected before the big day. My husband calls it mission creep, though he did enjoy the soup as well. This soup is smooth and creamy without being at all heavy. It’s also quick to make (much more so than pies 🙂 ), so it makes a regular appearance on our weekday menu. 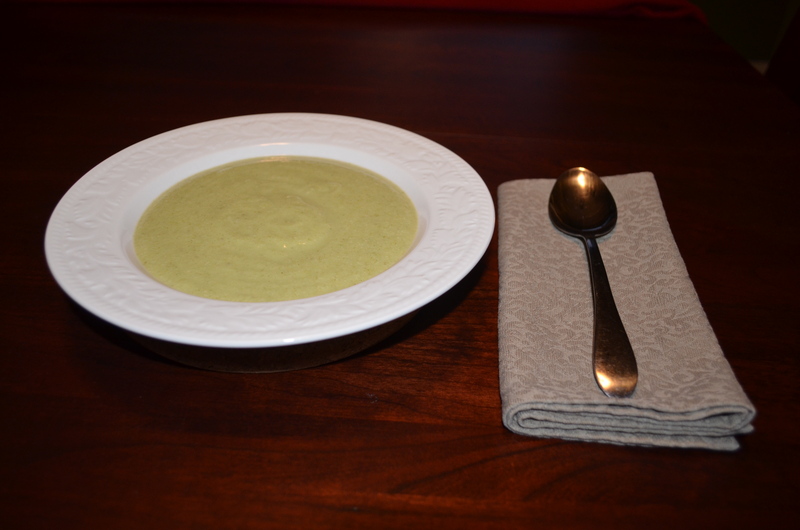 If you like the idea of having broccoli florets floating in your soup, either remove some of the cooked florets just before blending, and return to the soup while reheating, or steam some additional florets separately. A note on broccoli: you can make this using pre-cut broccoli florets, or whole heads, or even just broccoli stems for a very economical dish. However, broccoli stems tend to be a bit fibrous, and if you include them, I would highly recommend passing the soup through a sieve (a little laborious) or chinois (I love my chinois/China cap; this is the super fast method) before reheating (or adding any broccoli florets that you’d like to keep whole). If you have a high speed blender, you won’t have this problem, so don’t worry about it. A note to harried mums/moms: I have found that left over broccoli soup makes an excellent pasta sauce the next day with the addition of some other cooked vegetables. It took my kids ages to realize I was doing this! Put the water on to boil in a medium – large saucepan. Chop the potato and broccoli up into small pieces (especially any stalks), and add to the water. Bring to a gentle simmer, and cook until the vegetables are soft. Add the remaining ingredients, and use an immersion stick blender to produce a smooth soup. Pass through a chinois if necessary. Adjust seasoning, heat, and serve with garlic almond bread. This delightful, thick, velvety, vegan cheese sauce is great with GF pasta and/or cauliflower for a gluten free, dairy free, vegan alternative for one of the nation’s favorite comfort foods. Not all misos are created equal, however. The one I use is rich, winey, and not too salty in flavor. Make sure you like the flavor of the miso (and mustard) you’re using before adding it to the sauce. This freezes well; just heat, beat, and eat. As an aside: if you want the color to be less vibrant, use less carrot. Put the cashews in the water to soak. Heat the margarine in a medium sized saucepan over a medium heat, and gently fry the carrot and diced onion in the fat until the onions are softened and translucent. While the vegetables fry, add the remaining ingredients to the water and cashews. Once the onion has softened, add the water, cashews, and flavorings to the pan, and bring slowly to the boil (~10 minutes), and simmer gently until the carrot and cashews are soft. Blend with an immersion stick or counter top blender until silky smooth (this might take a minute or two). Add a little more water or non-dairy milk if you want to slacken off the consistency. 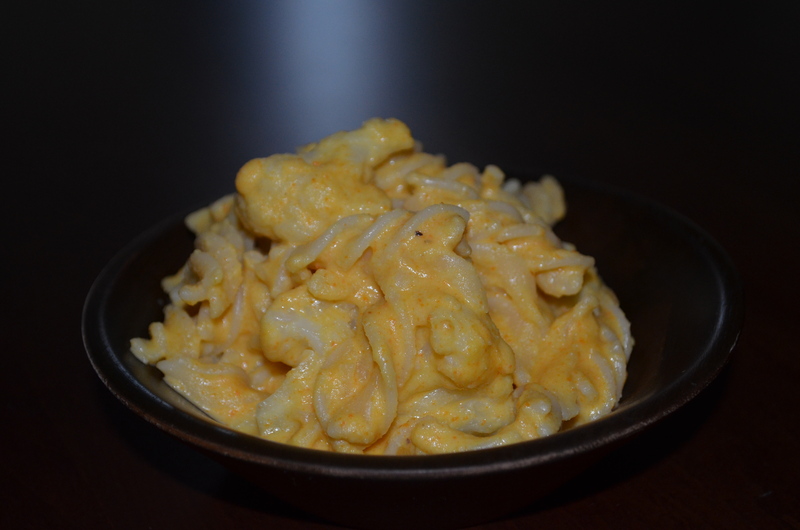 Heat and serve over cooked cauliflower or GF pasta (or both). 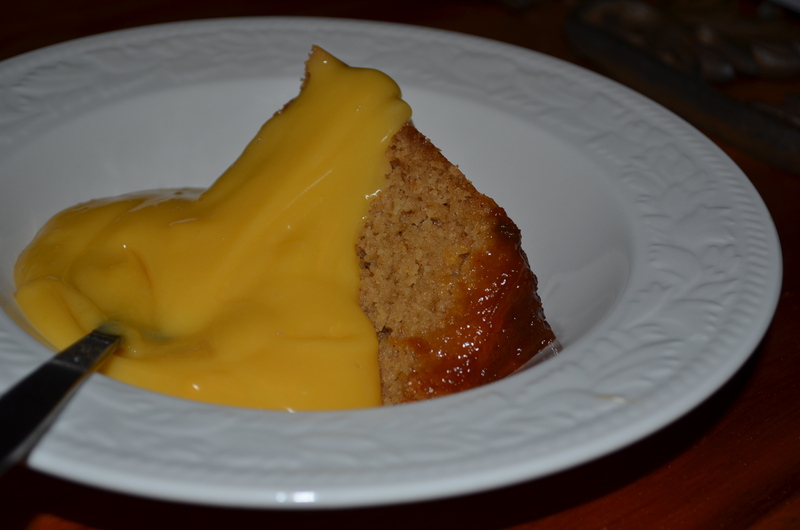 Missing steamed pudding wasn’t the first thing that went through my mind when I discovered that I couldn’t eat wheat, but being able to eat it makes me feel almost normal! 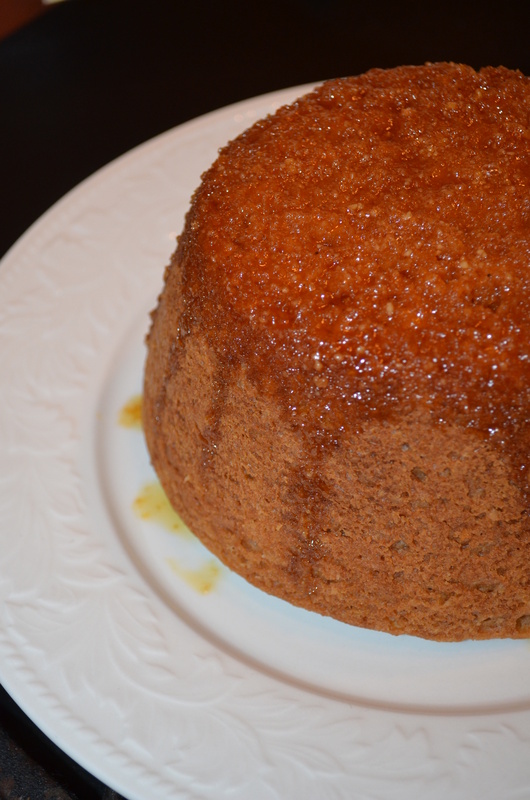 🙂 This steamed pudding is only moderately sweet, so it can be served with custard or other sweet sauce, and has the required slightly sticky, moist texture. Note that if you can’t get hold of any golden syrup, you may use honey or maple syrup or jam of some description instead, though the flavor will (obviously) be slightly different. I should point out that this recipe might take a long time in the steamer, but it is not difficult to make. Makes 8 servings. 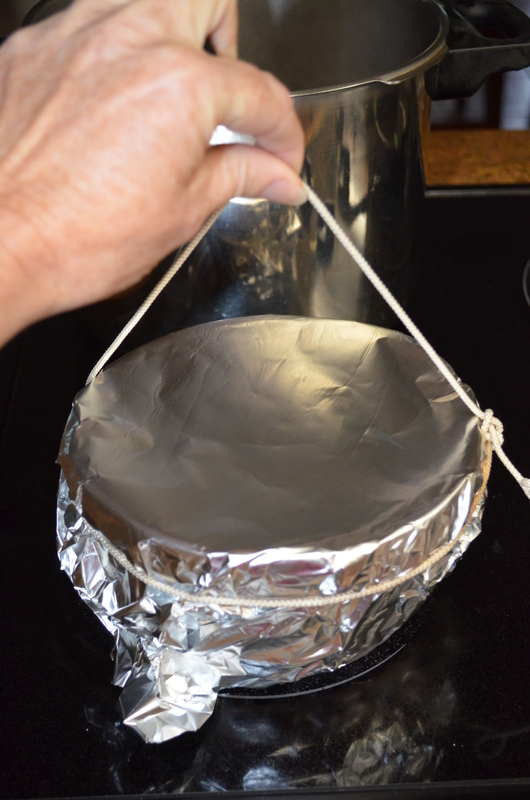 Cover the pudding batter with a sheet of baking parchment, then a layer of tin foil, then use a piece of string to secure the two in place (and make a handle to ease removal from steaming pan). Grease a 2 pint pudding basin, and grease a disk of parchment paper in the bottom to stop the pudding from sticking. 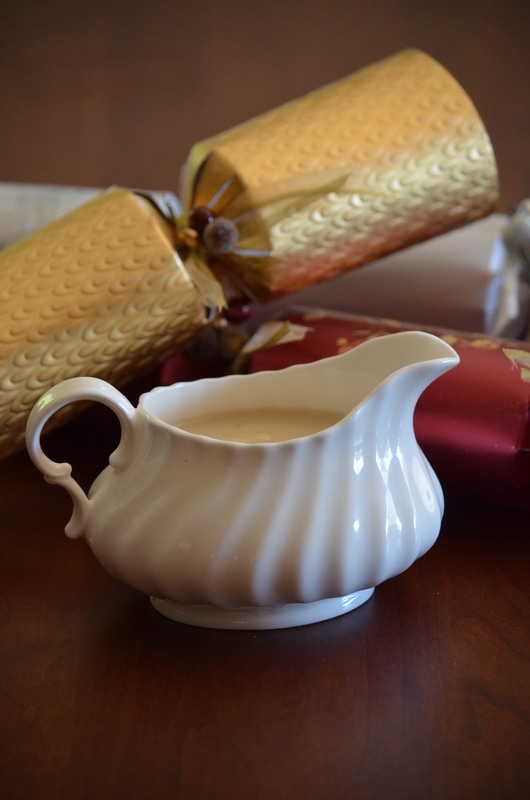 Pour 1/4 cup golden syrup or apricot jam in the bottom of the pudding basin. Break the eggs into a large food processor and beat for 10 seconds. Beat in the margarine for 10 seconds. Add the 1/2 cup golden syrup or apricot jam and the apple sauce, and process for another 5 seconds. Add the citrus juice then the dry ingredients, and process until the dry ingredients have been incorporated (~10 seconds, plus a scraping down in the middle). Add the milk, and briefly process to give a soft dropping consistency. Turn the mixture into the prepared basin (no more than 2/3rds full), and seal with a sheet of parchment paper and tin foil tied with a piece of string. Bring 1” of water to the boil in a deep saucepan with a tight fitting lid. Put a trivet or crossed forks in the bottom of the pan to keep the basin from sitting on the bottom of the pan. Steam (covered) for 1 1/2 hours, checking every 20-30 minutes to make sure the water hasn’t boiled away, and topped up with boiling water if it has. 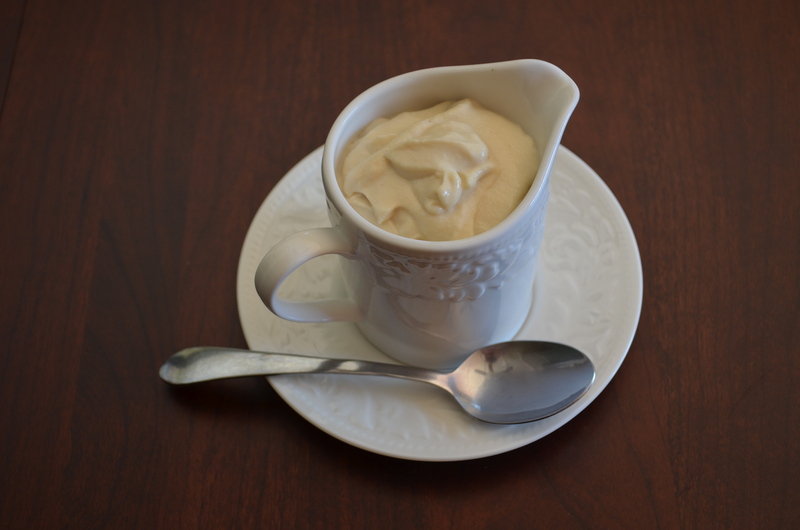 Serve with almond custard or pouring cashew cream. This is one of those emergency foods that is ridiculously fast to make, but tastes so good it’s no shame to make it. I’ve seen so many recipes that make black bean soup far too complicated, and much less pleasurable. I usually serve it as it is, but it goes very well with Sweet Corn Soup. In a food processor, blend the beans including tinned juices, garlic, lemon juice, cumin, and chipotle chili. Check for seasoning, and add salt if required (tinned beans vary the amount of included salt), and lemon juice. Heat, either in a saucepan or the microwave. 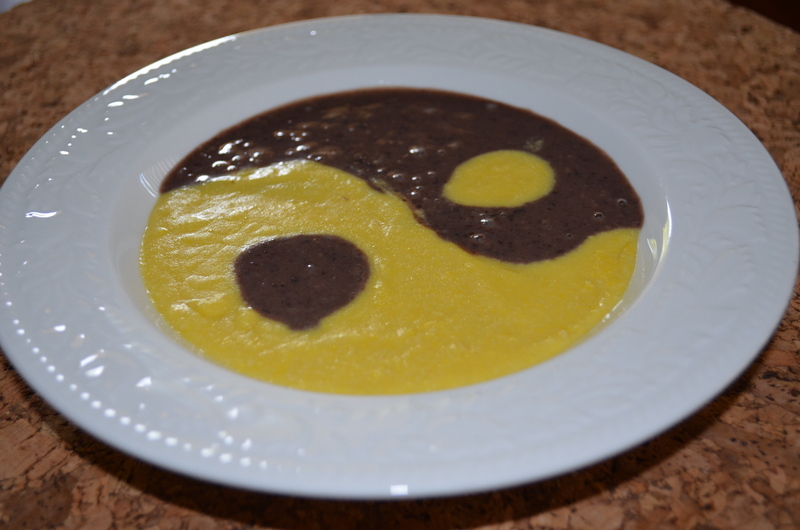 Black Bean and Sweetcorn Soup: add 1/2 cup frozen sweetcorn after blending. Smokey Black Bean Soup: substitute 1/2 tsp smoked salt for the cumin and chipotle.